We have all been through it. You are stuck with someone you don’t want to be with, and you are hoping someone would come to rescue. Well, this is what I do, when I want to get out of such situation. I open my fake phone call app, click a button, and put my phone on the table. Withing few seconds, I will receive a call from my friend, who is apparently in trouble and wants me to come ASAP. I will start acting all panicky and run for my dear life! Most apps that I researched are ads-supported with no way to upgrade. It seems, in this category, pro versions are not available or is not the norm. While there is no shortage of fake incoming call app on Google Play Store, the basic premise remains the same, i.e. once you have set up the app, you get a fake phone call from a preset name and number. 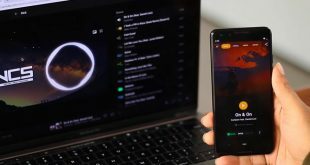 However, the way these apps differ is how you activate the call feature, like by shaking your phone, pressing down the power button 4 times, or from the desktop widgets etc. 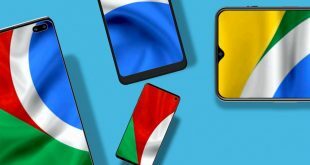 So, let’s check out some of the best fake incoming call apps for Android. Let’s begin. 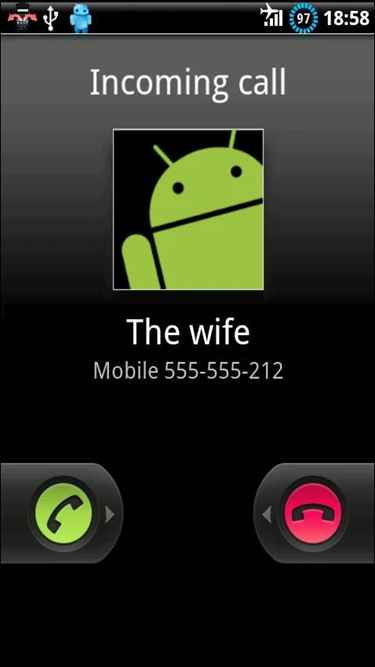 Fake-A-Call is one of the oldest fake caller id app in the Play Store. The free version of the app is ad-supported and will allow you not only make a call instantly but also schedule one. Schedule a fake call gives you buffer time so you can act all innocent and pretend you don’t know what happened. Schedule feature has preset like 1 sec, 30 secs, and 2 minutes. You can enter a name, number, and ringtone. There is also an option to play a recorded voice from the other end when you pick up the call. During my tests, the app worked but the operation wasn’t smooth. My brother wasn’t convinced when I told him I had to leave. I tried to pick up the call and simply couldn’t. Other times, it worked as advertised. There is a pro version ($0.99) which will remove ads. Verdict: The user interface could be better and should be updated to reflect the current UI of Android phones. The app works but what good is it when it fails at the wrong moment? 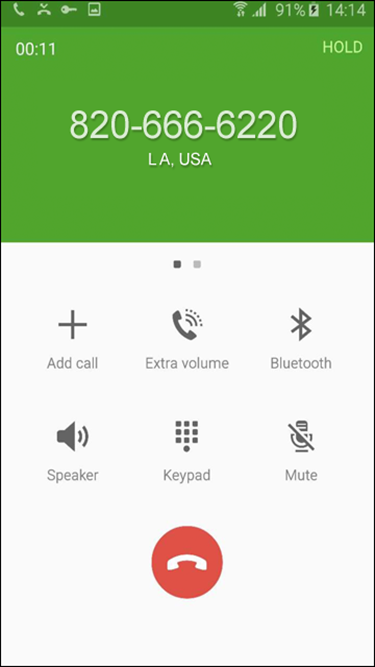 Fake Call offers you slightly more freedom than Fake-A-Call app. You can set name, number, ringtone, and also a photo of the caller. When you get a call with a name and the caller’s photo, it makes the call look more authentic. You can choose any contact directly from your Contacts app, and turn off vibration and ringtone if you want. There is a recording option so you can record your own voice or choose one from the gallery. During my tests, the app worked as advertised. The only issue is that there are too many pop up ads which means setting everything quickly when someone is observing or talking to you can be difficult. You need to be discreet and quick. Verdict: Fake Call app works nicely and the UI of the call screen is good. There are too many popup ads though which can be an issue. 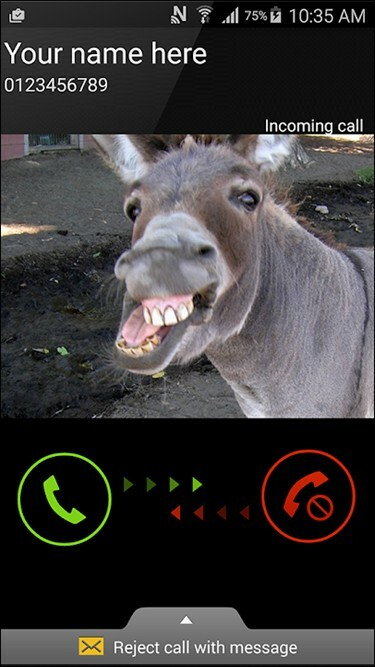 Fake Call Caller Id takes things up a notch higher than others apps by adding even more options. The first thing I noticed was that when I installed the app, the name was changed to Call Assistant to mask it. While it was a good thought, I would have preferred something else like Calculator or Notes? Apart from changing name, number, image, and voice recording, you can schedule multiple fake calls to show that you really have an emergency building up somewhere. So you cut the first and second call, but pick up the third and act all surprised. You can set different ringtones and names/numbers for each fake call. Where it really shines is in the call logs section. There is an option which, when enabled, will create fake call entries to make everything authentic and real. Fake call history is a cool feature. I used it to show 3 miss calls before I got the 4th one and left in a, ahem, hurry. 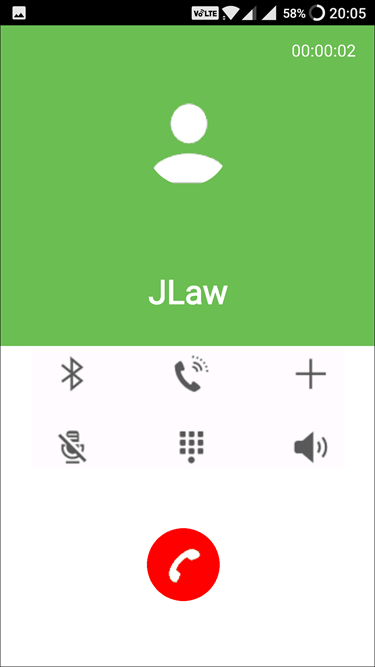 Based on your smartphone and Android version, you can choose a layout and UI that will be shown when the call is made. You can record voice to be played from the other end. What really impressed me was the widget option. So, I set everything up, based on different scenarios, and I can use the widget to place a call in a jiffy. No need to open the app and run the risk of getting caught. You can also send fake messages to yourself to make things look more genuine. So, you receive a few phone calls, and then you receive a message with a situation. Verdict: Fake Call – Fake Caller ID is a cool app with a lot of thought and attention to details like call history and logs. The widget will save your life one day! The app is free and ad-supported. If you are a US user, this one will work for you. 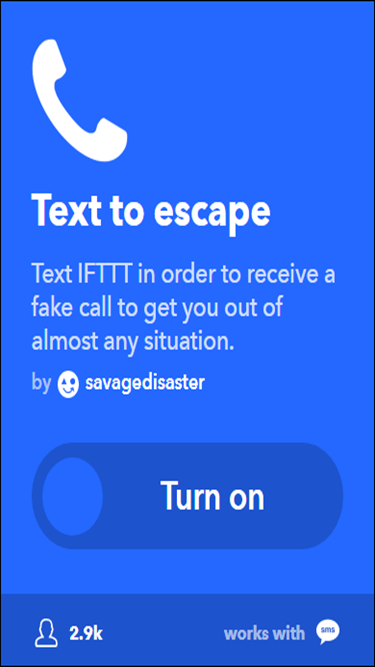 Text to Escape is an IFTTT recipe. IFTTT (If this then that) is an amazing little tool, think IoT for services, that connects a number of products and services allowing you to set conditions. When a specific condition is met, it will trigger a response. For example, this particular recipe will allow you to receive a fake incoming call playing a voice recording of your choosing once you text IFTTT’s SMS channel. IFTTT will need you to verify your phone number with an OTP and give necessary permissions. Gogocall made the list because it brings a new way to initiate a fake call. It is so discreet, you can do it right under their noses. The moment you feel tortured, just press the power button 4 times in succession to receive a fake call. Nice touch. You can set name, number, and image, and also choose from 4 different UI or skins. You can also change the setting to 6 times if required, but 4 is easier and quicker to do. FCR Fake Call will initiate a fake call when you shake your phone in your hand. It works! You can set caller details as in other apps but the UI is not impressive at all. Also, there is no way to change it. You can set a delay between shake and call so when you shake the phone, you don’t immediately get the call. Gives you time to compose yourself. The call will be logged call records. You can calibrate and set intensity and gap of shakes. There is a widget option if you prefer that. Another thing I didn’t like is the notification in the notification center. Anyone who picks your phone is bound to see it because it is also visible in the status bar. The app was last updated in 2013, so that explains the old UI and lack of updates based on feedback. The pro version will cost you $0.99 and remove ads and insert fake calls to your call logs. Fake Call can be used, and they can also be abused. I don’t want you guys abusing it, but have all the fun you want with your friends. When used wisely, you can get out of a tricky situation pretty easily. 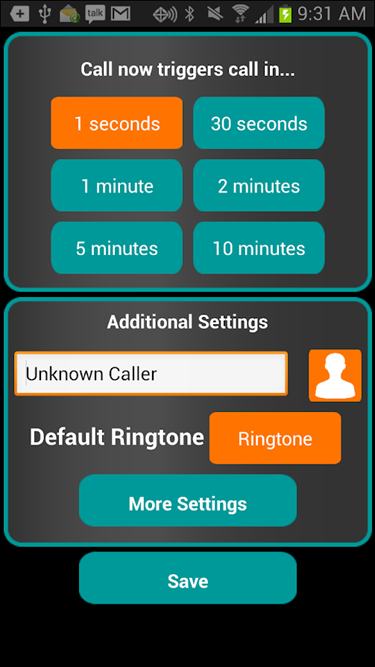 I liked Fake Call – Fake Caller ID because it has a robust set of features with a widget, app name change, different UI, and fake call logs and history. If you are looking for a more discreet option, GogoCall is a good option. It depends on your needs and the situation you find yourself in. You can also use a combination of both. 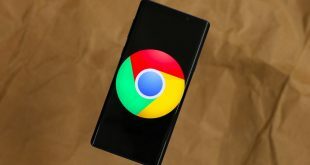 While none of the apps mentioned it specifically, I believe a lot more can be accomplished if you are a Tasker user. Let us know how you used it and what recipes worked for you.